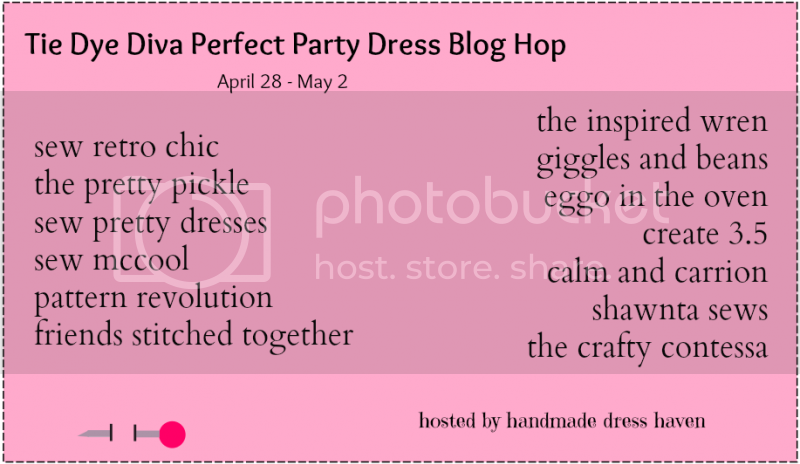 elli & nels *in stitches*: Tie Dye Diva's Perfect Party Dress to Perfect Picnic Dress! Thank you Amy :) One of my favorite dresses I've made her so far! It's lovely. I really like the black and read apron on it. Great work! Love the apron - and the use of the same fabric for the apron as the sash makes it actually look like a little apron tied around her! So sweet! 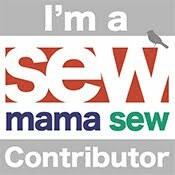 :) This was a fun blog hop - I enjoyed participating! Thanks Kim! I didn't think about it too much but I did want some continuity with the sash/apron so it wouldn't look like an afterthought, glad to know I succeeded! Haha! It was a lot of fun, I was glad to be a part of it! This Tye Die Diva blog tour is killing me- such cute looks! Yours is no exception- adorable & love your fabrics! Thank you Amy! It was such a fun tour! I love your dress! The bright colors look gorgeous on your baby and the apron is such a cute idea! My daughter wants one now!